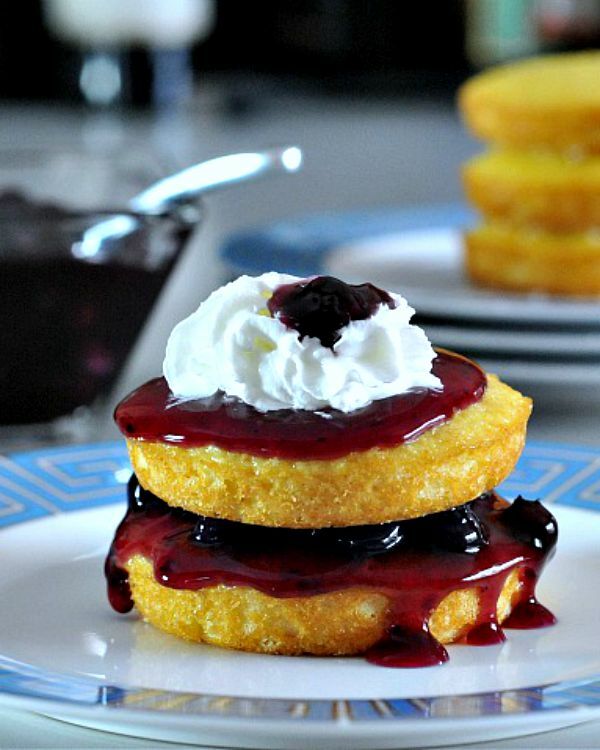 Lemon Cardamom Cake Stacks – bright lemon and warm cardamom flavor these fluffy cakes, which are stacked with fresh blueberry glaze and whip cream – yum! Until very recently, it has been a long time since I had spray whip cream. I went a little nuts with it. I made this colorful dessert and had a lovely little dinner party. Everyone was enjoying these sweet stacks, and I was spraying rice whip directly into my mouth.